When Mikhail Kalishnikov passed away in December of 2013, the firearms world lost a designer responsible for one of the most globally-popular rifles, the AK-47. The selective-fire, gas-operated rifle was designed by Kalashnikov immediately following World War II and entered service in 1949. It was entered into Soviet firearms documentation history as the Avtomat Kalashnikova and has a few nicknames, including the Kalashnikov, AK, and Kalash. It was designed and gained fame due to its ability to function in extreme climates and low production cost, and if you own one of these famous Russian rifles, you should feed it Russian ammunition. 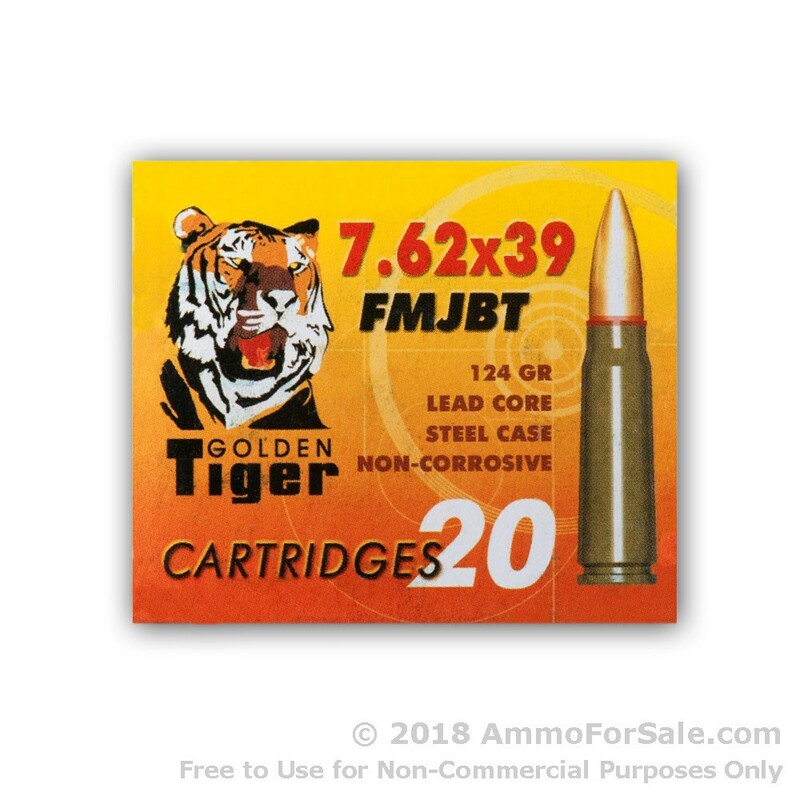 This ammunition is made by Golden Tiger, which is a subsidiary of Vympel IIRC, a Russian-based company. Although they are a young plant by Russian standards, they already have a solid reputation due in part to their use of state-of-the-art production equipment: they are said to be the most up-to-date plant in Russia. 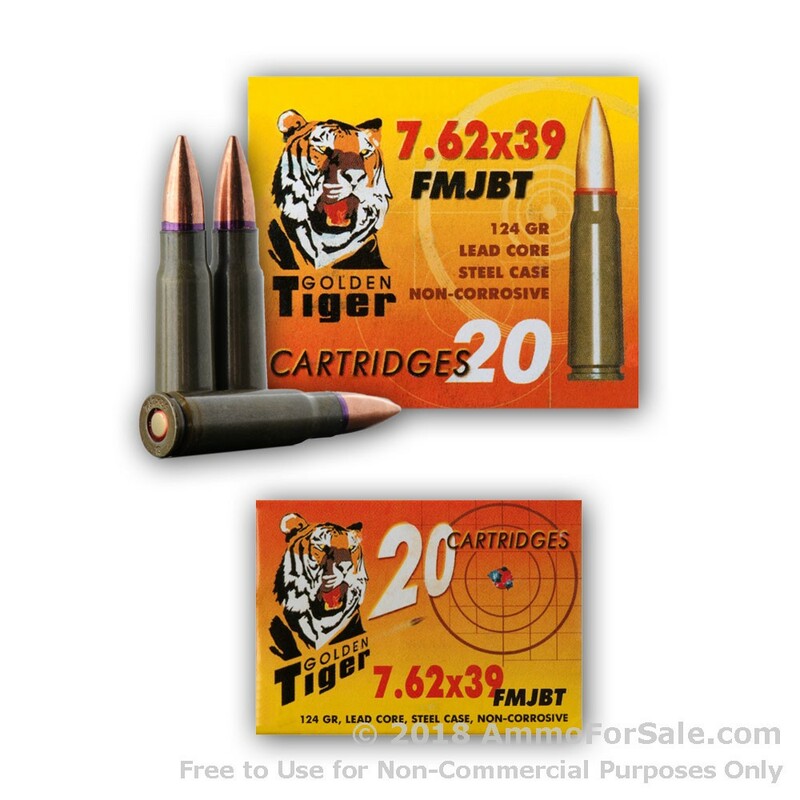 Their ammunition is economically priced and experienced marksmen who use it say it performs well and is good quality. 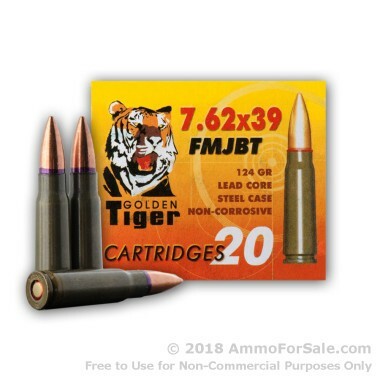 With Golden Tiger, you can sling lead down-range for hours without worrying about the cost. 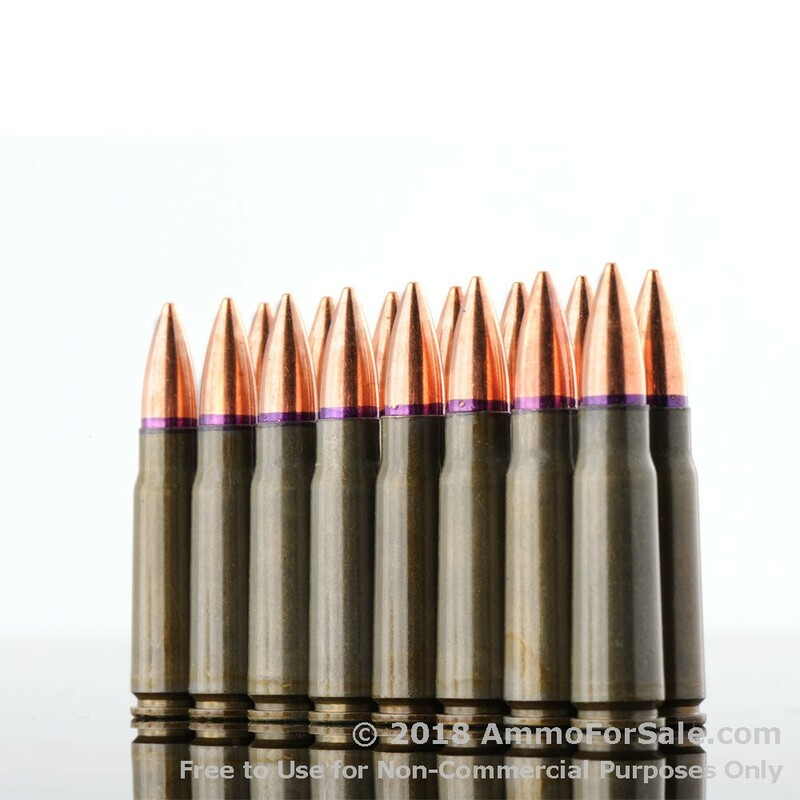 At 124 grain these are fairly lightweight rounds, which gives them the capability for greater speed. And they certainly are fast; they have a muzzle velocity of 2,345 feet per second. Since they’re FMJBT’s, they’re ideal for target practice and plinking, and their boat tails make them a nice choice for working on your long-range skills. 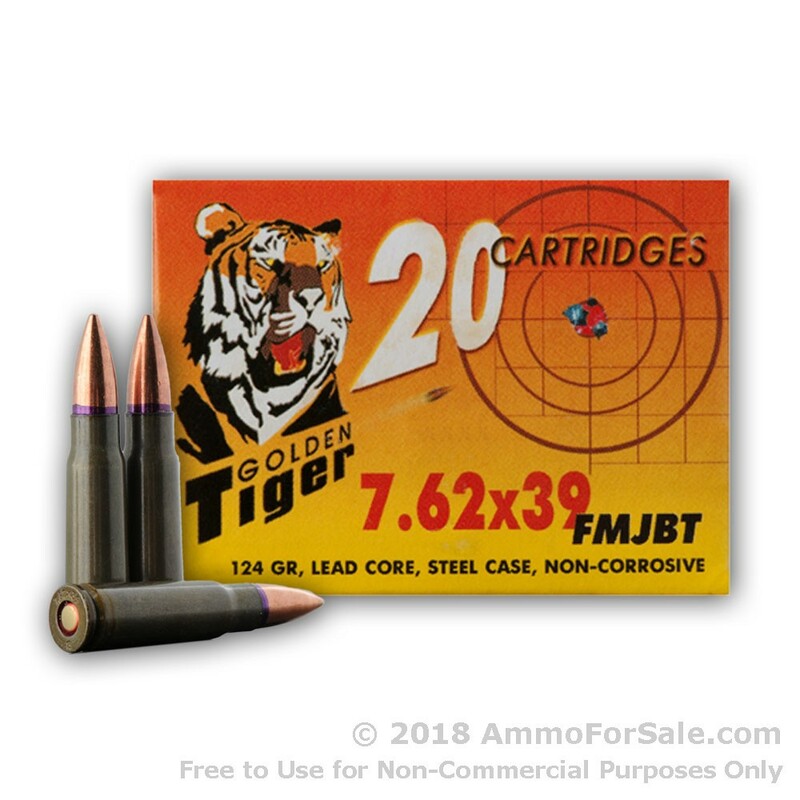 They’re steel-cased and berdan primed to ensure ignition and have a unique lacquer coating for reliable feeding and ejecting as well as to reduce risk of rust. 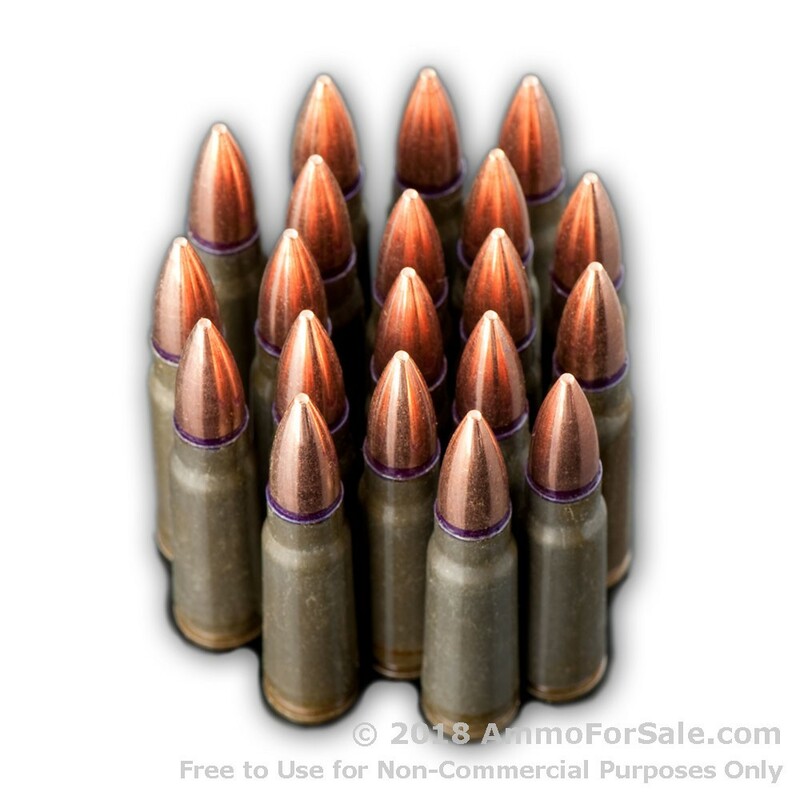 If you’re a high-volume shooter, you’ll be thrilled to find 500 rounds in this case. 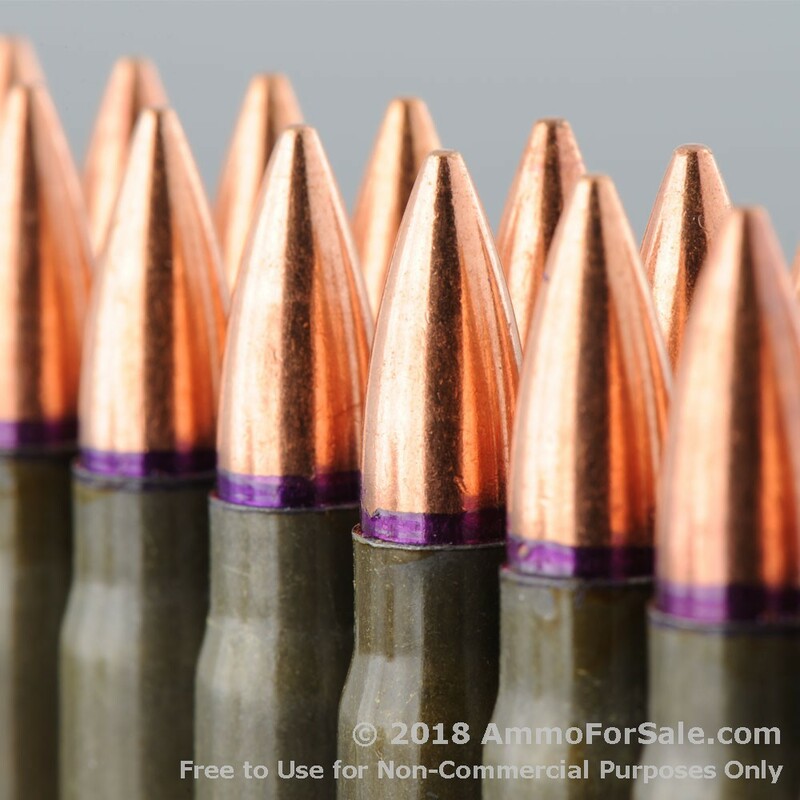 It’s a great quantity for honing your marksmanship or increasing your stockpile; whatever you use it for, just get your order in!